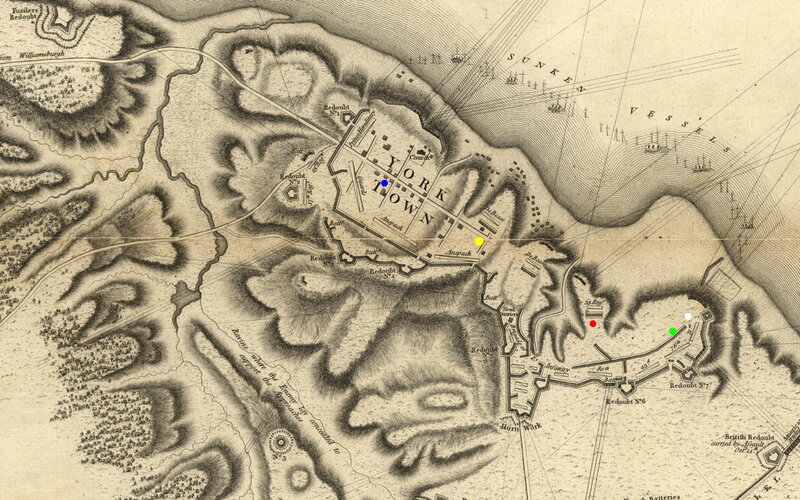 These maps show an overview of Yorktown with the main areas where we will camp, and where to park. 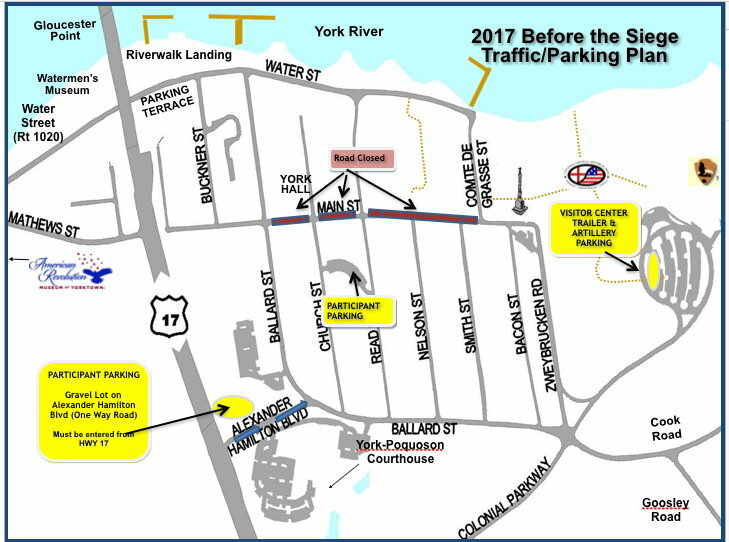 The 2017 parking map is the same for 2019. The maps below show the various locations in town where we have been approved to set up tents. 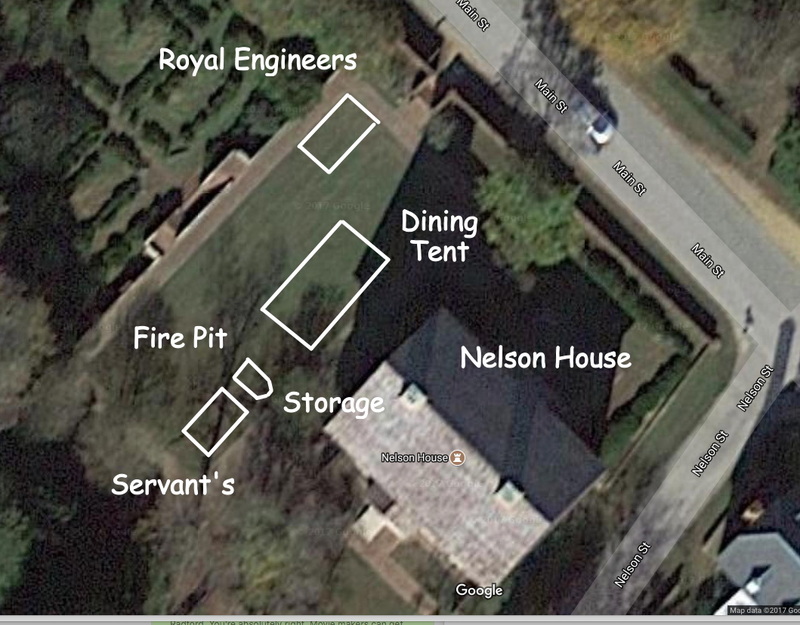 Due to the archaeologically sensitive nature of the grounds in Yorktown, we may only set tent pins in areas which have been cleared by CNHP. 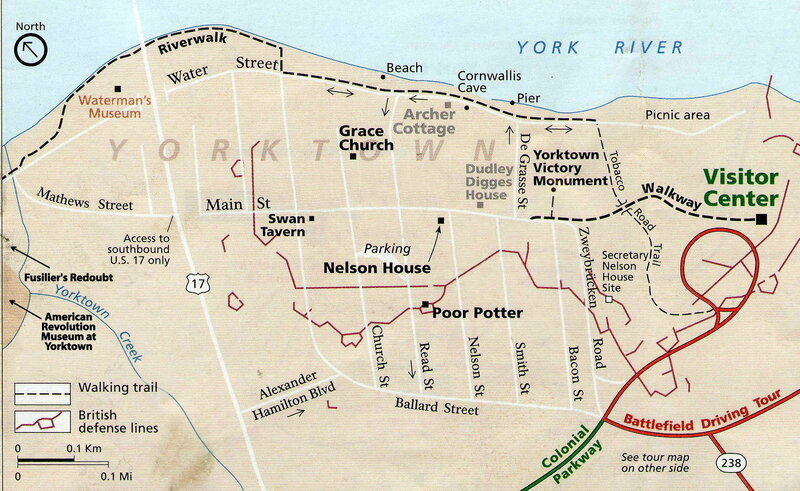 The period overview map of Yorktown shows areas with locations where units were placed historically. 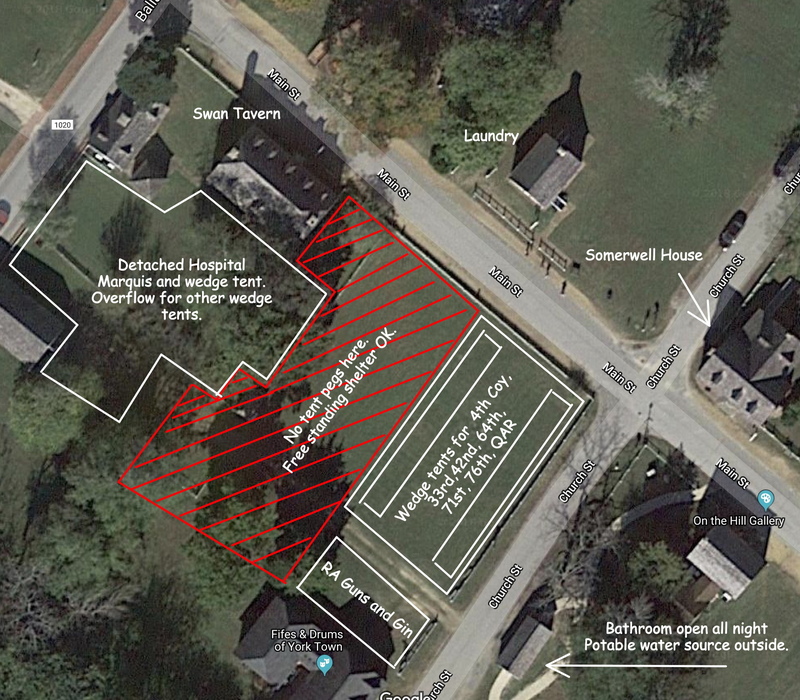 The blue dot is the side yard of the Swan Tavern. As you can see - the 4th. Company will be camped mere yards away from where the Guards historically were! 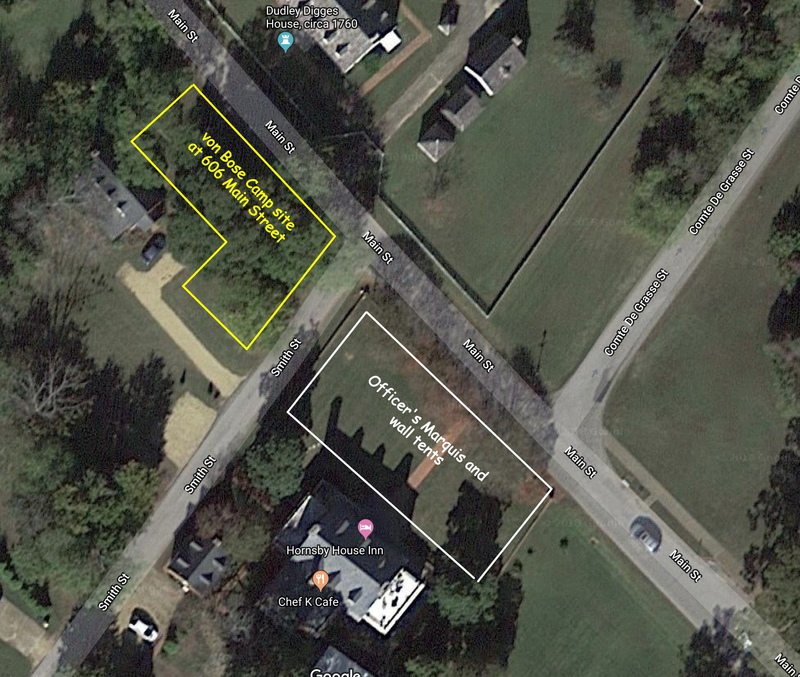 The yellow dot is at 606 Main Street - across the street from one of the places "deBosse" was camped! The red dot where the 33rd Foot was located is practially underneath the Visitor's Center, and apologies to the 71st and 76th (green and white dots), but your period locations are well away from our main area of interpretation on Main Street. When it is your turn to patrol out to the battlefield, please take time to go stand on the soil where your Regiments were 237 years ago! 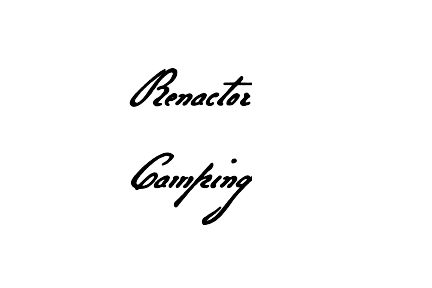 Copyright © 2018 by Colonial National Historic Park. All Rights Reserved.